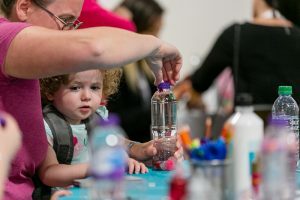 Get ready to be inspired with our popular craft workshops. 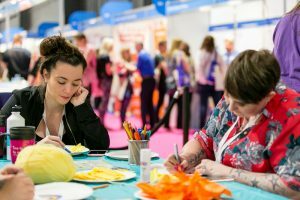 Twinkl will be coming to Childcare Expo London for two days of fabulous craft workshops! We look forward to seeing you soon! Story stones have lots of great benefits. 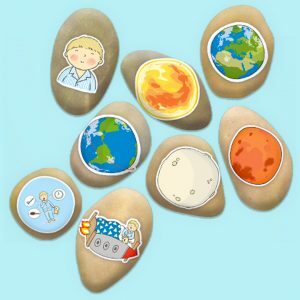 They increase imagination and vocabulary, develop communication and listening skills, plus deliver sensory pleasure from touching the stones. 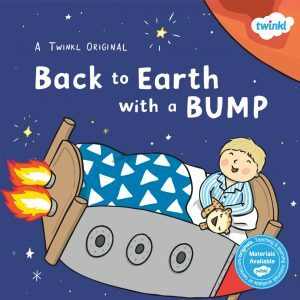 Join us to make your own ‘Back to Earth with a Bump’ story stone and also explore Twinkl lesson plans / enhancement ideas too. All equipment and instructions are supplied by us. Looking for fresh inspiration? 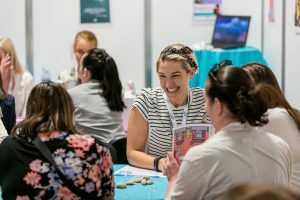 Pop along to the Twinkl Inspiration Zone and join our teacher-led Twinkl Original workshop. We’ll give you a FREE copy of our latest published book Back to Earth with a Bump, then knock your socks off with a demonstration of the incredible AR app features – you really won’t believe your eyes! We’ll also be discussing lesson plan and enhancement ideas to go along with the book. Want to get a head start with your planning? Take your seat at our Easter crafting session to have a little ‘crafty’ fun. 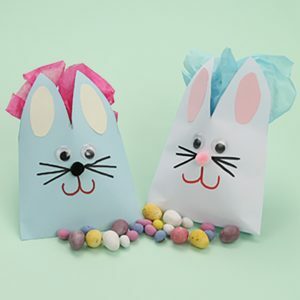 You’ll get the chance to make an easter craft and we’ll be discussing lesson plans and enhancements. 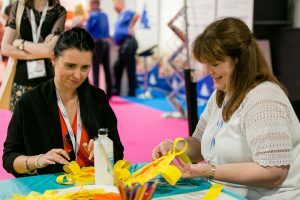 This creative activity can be used in any setting, and it’s great for EYFS teachers, Nursery practitioners, Home Educators and Childminders. All equipment and instructions are supplied by us. Take a well-earned break as you escape the hustle and bustle of the arena and…relax! 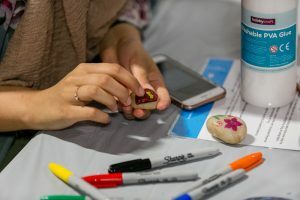 Join us for a natter and some much deserved ‘You Time’ as make your own sensory stress toy as part of our soothing mindfulness workshop. We’ll provide the equipment and instructions and the stress-busting toy is yours to take home at the end of the day. 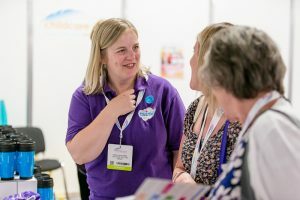 Pop in and say hello, we’ll be running our workshops from 10:30am-3:30pm on Friday and Saturday. Why not ask us about new developments happening at Twinkl, we’ll be happy to tell you. 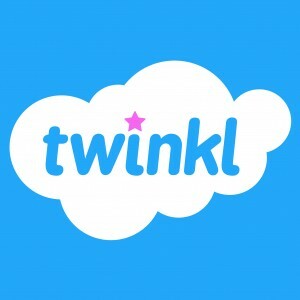 Visit www.twinkl.co.uk.